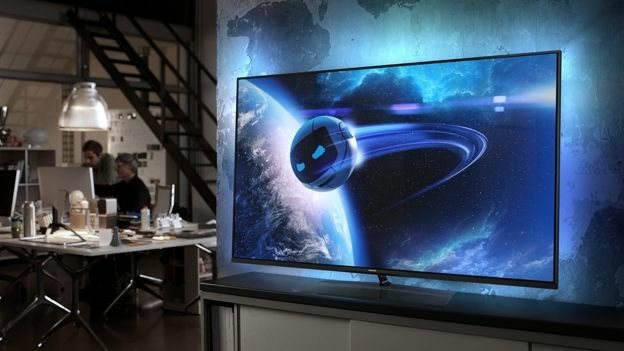 Philips has unveiled its new Elevation Smart TV which boasts a super-slim design at just 13.5mm and comes with a newly updated four-sided Ambilight which can connect to the lighting in the room. The TV has been designed to connect via WiFi to the Ambilight+hue app which lets you sync the Hue lighting system with the TV creating what Philips believes will be a much more immersive viewing experience. Of course being a flagship Smart TV you also get passive 3D with 2D-3D real-time conversion, WiFi connectivity along with the ability to use and download apps straight to the TV. The Elevation is only available with a screen size of 60-inches, no word on pricing or indeed when the Elevation will become available but stay tuned and we'll update this story as soon as we know.